Faculty of Information and Communication Technology, Salaya Campus. 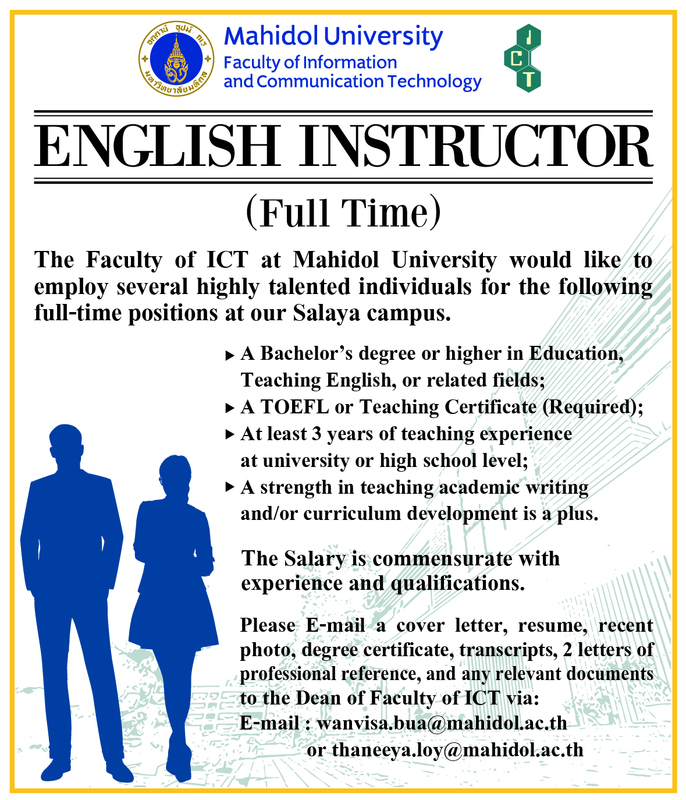 The Faculty of ICT at Mahidol University would like to employ several highly talented individuals for the following full-time positions at our Salaya campus. A strength in teaching academic writing and/or curriculum development is a plus.